What’s the major difference between laptop bags and the other ordinary? We know it, laptops aren’t cheap. In fact, it costs a bunch of money that’s worth taking our time to find the best way to protect it. Though the hard shell, a sudden shock force might lead to serious damages to your laptop, which an ordinary bag with thin bottom layer can’t handle well with. That’s why you need at least a laptop bag that’s specifically designed to keep your gear safe all the time, from shock, other belongings and even weather. But, before hitting the buy button, let’s take a few minutes to equip yourself some essential features to consider the best one, making your purchase worth every single penny. 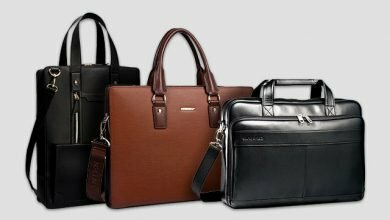 Truth to say, in the world of laptop bags, there are various types to ensure they meet up different demands and preference. Obviously, one can’t fit all! Each model fits only some specific people with particular advantage and disadvantage. This is a cross-body model with strikingly durable design and protective strap to secure itself around your waist. Usually, messenger bags come up with a specific compartment for laptop and some more spaces for other items ergonomically. From that point, this is a perfect choice for active people, for instances bike riders and students. As might you carry many things along, I highly advise you to consider about the padded strap, vinyl lining or extra small pockets as well. Differ from the messenger bag, this is a two-strap bag to carry in your back, which means all the loads are split up equally to both shoulders. This allows you to bring more stuff with no feeling of straining down or heaviness or tiredness. On the other hand, the padded straps deliver moderate comfort on your body. Its capacity is usually huge and other than your laptop, you can carry some other mobile gear safely as well. The biggest advantage of this design is keeping your hands free. But kindly watch out of pickpockets when you are in a crowded area. 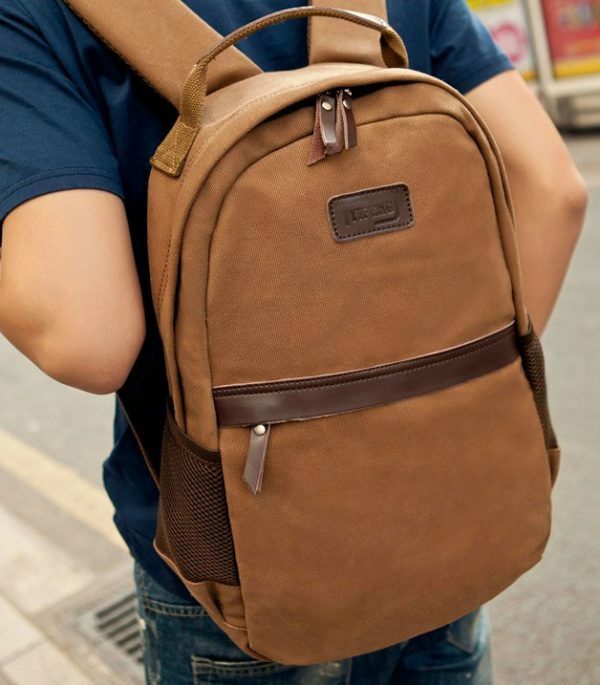 In general, backpack laptop bags are a good selection for students, travelers, and city dwellers. This model is inspired from messenger bags, but it’s more advanced as apart from carrying on one shoulder, there are two compact handles as well. However, I saw that some fashionistas nowadays using these shoulder bags as one of their OOTDs. In fact, these lightweight and compact bags can be mixed and matched in different styles, from traditional to professional, from casual to distinctive. 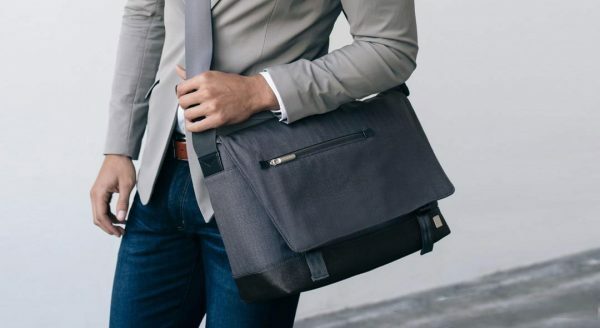 When it comes to briefcase-style laptop bags and shoulder bags, other than capacity, size and material, three other features to consider are straps, compartments and padded handles. Amongst all laptop bag types, rolling laptop bags are arguably the bulkiest and heaviest but thanks to the attached wheels, you can carry it around more easily and conveniently. However, this model strikes back with its superb capacity and the ability to taking all the weight off your shoulders. 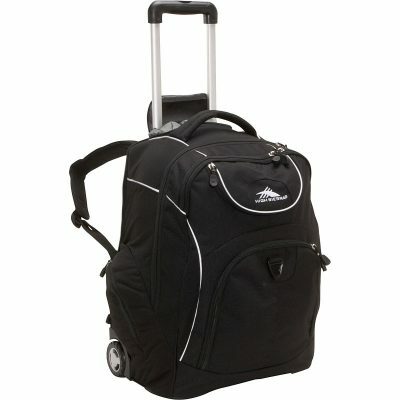 To be honest, this model is perfect to tote your belongings across long distances, such as traveling and going business. Talking about wheels, you should look for the rubberized with ball-bearing inline skate. 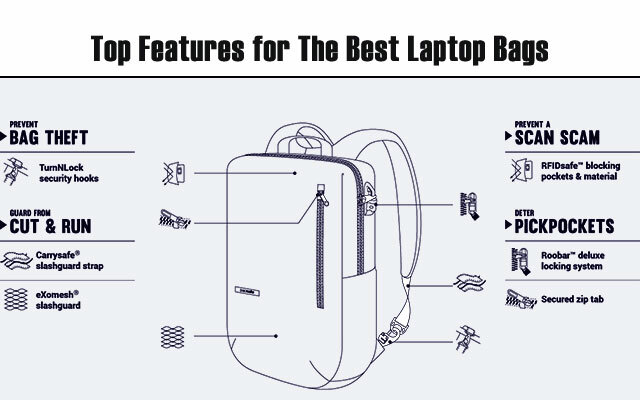 Besides, consider well-padded layer in laptop compartment so that it brings you better shock absorption. Now, I understand that many of us don’t feel like investing a new laptop bag for some reasons, might be because of your budget, you already have a backpack and you love it or whatever, there’s still a perfect option for you – laptop sleeves. 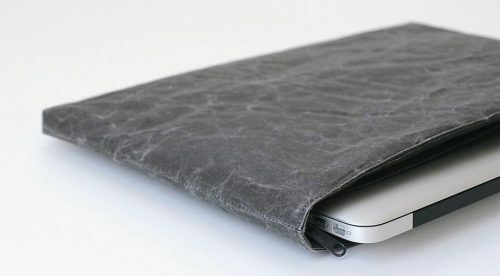 Totally contrast to the rolling laptop bags, sleeves fit snugly for a laptop and they usually come in no extra pockets. On the other words, they are made to just serve for the purpose of protect your laptop. That’s why laptop sleeves are considered as the slimmest. With this model, it’s perfect to carry your laptop in another backpack, from room to room, or within your office. Remember to take a look at its zipper, hard shelf or padding. This is the key element taking huge influence on the durability and the weight of your laptop bag so, to get the best investment, you need to consider this feature carefully. There are four kinds of material: nylon and polyester, canvas, leather and memory foam. Each comes up with specific advantage. For instance, while canvas is arguably the most durable fabric, memory foam is the best material for shock resistance. Or nylon and polyester are the lightest while leather is the most longevity. When it comes to choosing material, you also need to consider how often you use the laptop bag, your local climate, how goodwill you are to take care of your laptop bag. Another tip to keep in mind is that consider the “deniers” rate if you intend to choose a nylon bag. This indicates how thick of the thread. Frequently, those nylon bags which are rated 500 deniers and up deliver good durability for daily use. Mostly, bag’s size depends on your laptop size. 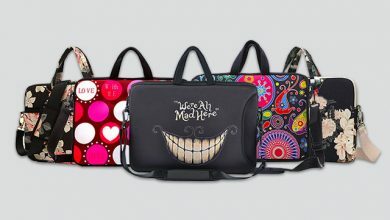 Obviously, we can’t pick a too small bag for a large-sized laptop, but how about the opposite case? 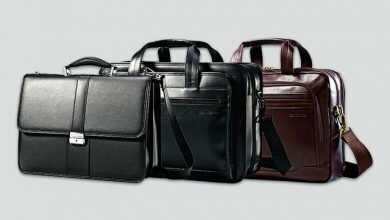 Is it possible to pick a larger bag for a small laptop? Remember the story of Goldilocks? Inside a too large bag, your laptop will slide around, which might cause some risky damages. Not saying that, you can’t take advantage of all available features in an improper size of your bag, for example the safety strap because your laptop is too small to fit. In general, like Goldilocks, let’s choose the right size. Don’t worry, each laptop bag can fit a specific size ranges of laptop so, you needn’t picking the exact dimensions. The bag, it should fit snugly, but not the way too tight so that you still have space for easy access. Other than your laptop, it’s essential to consider other gear or stuff you will carrying alongside, such as wallet, cellphone, charges, cables and even your lunch box. In case you would like to pick size for traveling, it’s highly recommended to choose a carry-on luggage. But ensure that it should meet the standard size allowed by all airlines. Also, consider whether if it small enough to place underneath an airplane seat in case there’s no room left in the overhead lockers. Padding plays an important role in how comfortable you feel when carrying a laptop bag, especially on your back and shoulders. That’s being said, let’s opt for moderately thick padded straps with air mesh covered to provide enough breathability. This perfect combination will help you feel comfort while wearing the bag but avoid stiffness on your skin. There are a lot of fashion senses. 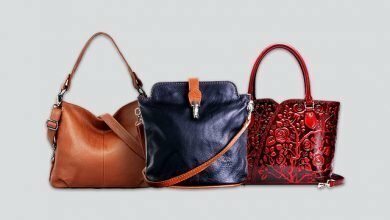 Along with that, there are hundreds of bag designs, such as vintage, clean, minimalist, etc. This feature mostly depends on your personal taste and style preference to pick. Last but not least is safety. I’m not talking about how skin-friendly of the fabric to you, but how well it protects your laptop. For example, if there are any sudden impacts on the bag that might cause your laptop dent, bent, or damage like break the screen. Such inconvenience can lead to the fact that you either spend a bunch of money to fix it or buy a new one. To avoid that, it’s essential to consider whether the laptop bag can keep your gear safe or not. Two main things taking this role are water resistance and shock absorption. Another thing to consider is Okoban tag which helps a lot to track your bag in case you lost it somewhere. This feature is particularly useful when traveling. It’s time for you to consider and pick the right one. 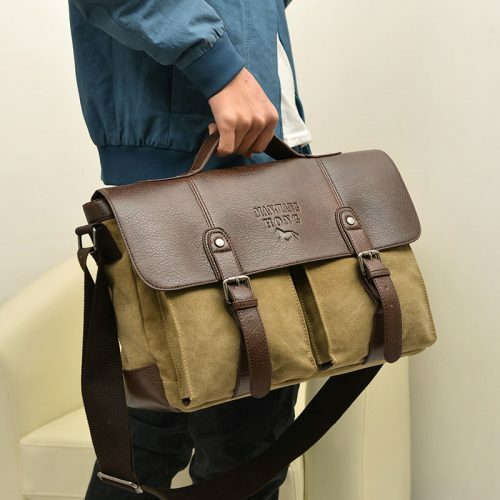 If you still have no idea of which brand or which typical one to choose, kindly consult my collections and reviews of the best laptop bags out there on the market. They are 100% helpful! Amazing blog post!! Perfection as always!